On behalf of the University of Rochester Board of Trustees, I am pleased to announce that Professor Richard Feldman, who served as dean of the College from 2006 to 2017, has been appointed interim president of the University of Rochester. Feldman will succeed Joel Seligman, who steps down on February 28, 2018. 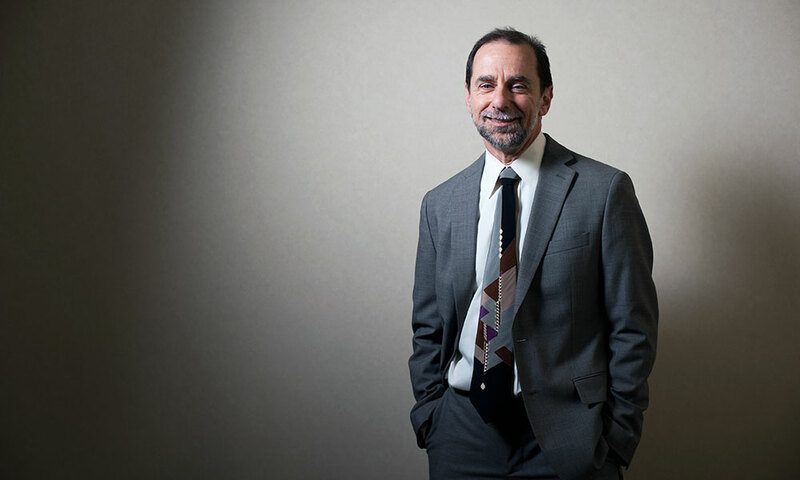 As a scholar, an award-winning teacher, and a supremely capable and compassionate administrator, Rich Feldman is respected and admired by students, faculty, and staff alike. The University could not ask for a better leader for this next chapter in the institution’s history. Rich has served the University for more than 40 years. He has been tireless in his support of students and his focus on new ways of teaching and learning. In 2016, he received the University’s William H. Riker Award for Excellence in Graduate Teaching. He is known for his principled views, his collaborative approach to problem solving, and his commitment to diversity and inclusion, and he demonstrated all of these characteristics as co-chair of the 2016 Presidential Commission on Race and Diversity. A renowned epistemologist, Rich came to the University of Rochester in 1975 as an assistant professor of philosophy, after earning his bachelor’s degree from Cornell in 1970 and a PhD from the University of Massachusetts in 1975. He served as chair of the department of philosophy for 13 years before becoming dean of the College. He had planned to take a sabbatical year following his term as dean before returning full-time to the philosophy department in fall 2018. He was named the Romanell-Phi Beta Kappa Professor in Philosophy for 2017-18, allowing him to devote part of his time to new scholarly inquiry. In the fall 2017, he gave a series of lectures at the university based on his new research, entitled “Rationality, Evidence, and Public Discourse,” that explored the relationship between evidence and belief, and the possibility of reasonable disagreement. During his tenure as dean of the College, Rich worked to strengthen the undergraduate Rochester Curriculum, which he helped create and implement. He worked closely with faculty to develop new programs, especially those focusing on multidisciplinary or community-based learning; and new collaborations with the Medical Center’s Department of Community and Preventive Medicine to create a new undergraduate public health major, and with the Simon Business School to develop an undergraduate business major. He supported expanded opportunities for undergraduate research, education abroad, and internships. He also worked tirelessly to enhance student success, increasing retention and graduation rates and creating stronger academic and career advising services. He also oversaw the expansion of student support services, including mental health and counseling programs, and most notably, the University’s nationally recognized CARE Network. Even before he formally steps into the presidency on March 1, the Board and I have asked Rich to immediately take responsibility for leading the effort to respond to the independent investigation report, and to make it his top priority to work with members of the University community and the Board to develop a plan to act on the report’s recommendations. We know there are challenges that we face as a University, but there are also vast stores of talent, goodwill, and respect. With President Feldman leading us, I am confident that we can engage every part of the University community to move our great institution forward.